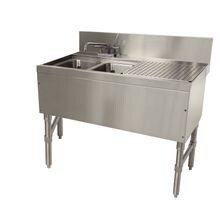 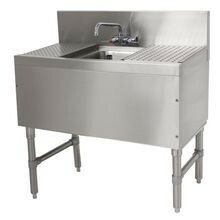 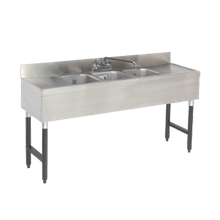 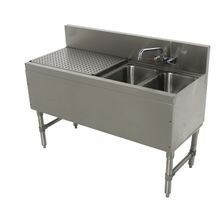 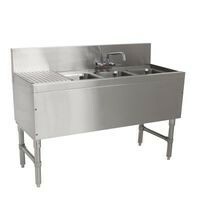 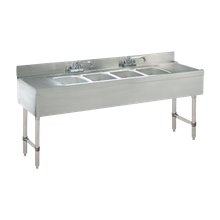 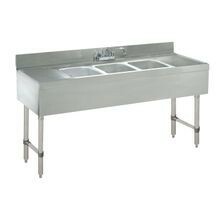 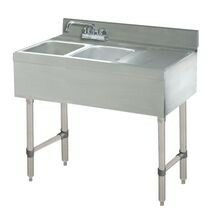 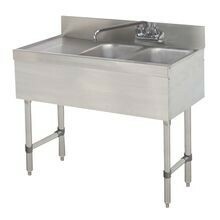 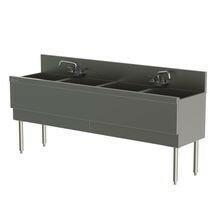 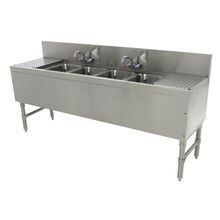 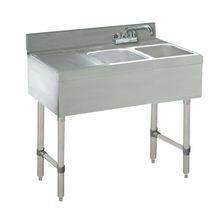 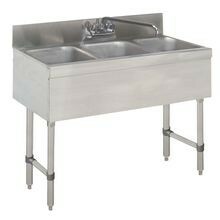 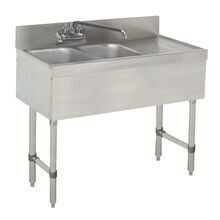 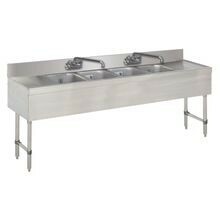 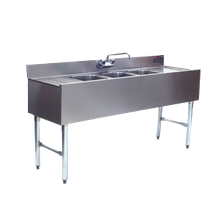 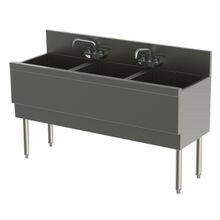 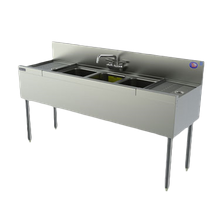 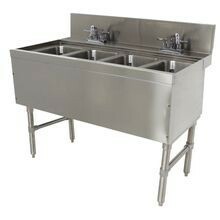 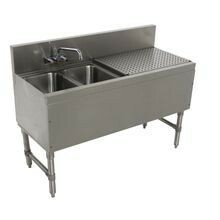 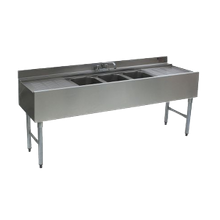 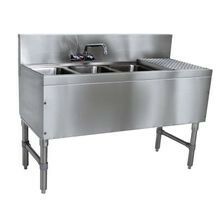 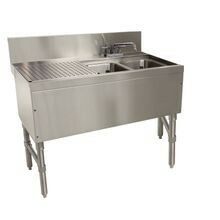 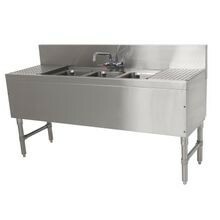 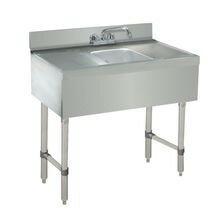 Advance Tabco PRB-19-31C Prestige Underbar Sink Unit, 1-compartment, 36"W x 20"D x 36"H, 14" front-to-back x 10" left-to-right x 10" deep sink bowls, 12"
Advance Tabco PRB-19-63C Prestige Underbar Sink Unit, 3-compartment, 72"W x 20"D x 36"H, 14" front-to-back x 10" left-to-right x 10" deep sink bowls, 18"
Advance Tabco PRB-19-43R Prestige Underbar Sink Unit, 3-compartment, 48"W x 20"D x 36"H, 14" front-to-back x 10" left-to-right x 10" deep sink bowls, 11"
Advance Tabco PRB-24-32L Prestige Underbar Sink Unit, 2-compartment, 36"W x 25"D x 36"H, 14" front-to-back x 10" left-to-right x 10" deep sink bowls, 11"
Advance Tabco PRB-19-64C Prestige Underbar Sink Unit, 4-compartment, 72"W x 20"D x 36"H, 14" front-to-back x 10" left-to-right x 10" deep sink bowls, 12"
Advance Tabco PRB-19-43L Prestige Underbar Sink Unit, 3-compartment, 48"W x 20"D x 36"H, 14" front-to-back x 10" left-to-right x 10" deep sink bowls, 11"
Advance Tabco PRB-19-42L Prestige Underbar Sink Unit, 2-compartment, 48"W x 20"D x 36"H, 14" front-to-back x 10" left-to-right x 10" deep sink bowls, 23"
Advance Tabco PRB-19-42R Prestige Underbar Sink Unit, 2-compartment, 48"W x 20"D x 36"H, 14" front-to-back x 10" left-to-right x 10" deep sink bowls, 23"
Advance Tabco PRB-24-32R Prestige Underbar Sink Unit, 2-compartment, 36"W x 25"D x 36"H, 14" front-to-back x 10" left-to-right x 10" deep sink bowls, 11"
Perlick TSD181CA TSD Series Extra Capacity Underbar Sink Unit, one compartment, 18"W x 24"D, 6"H backsplash, 16" wide x 16-1/4" front-to-back x 15"
Perlick SC18W Underbar Sink Unit, with waste chute, 18"W x 24"D, open front cabinet base, 10" wide x 14" front-to-back x 9-1/2" deep sink, 5" dia. 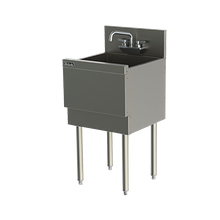 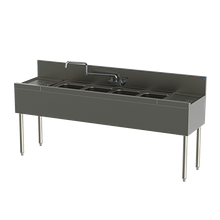 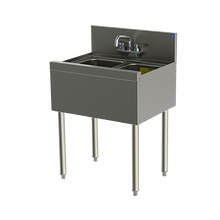 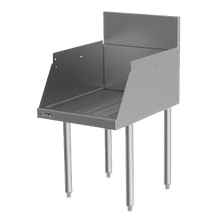 Perlick TSD362CA TSD Series Extra Capacity Underbar Sink Unit, two compartment, 36"W x 24"D, 6"H backsplash, 16" wide x 16-1/4" front-to-back x 15"
Perlick TSD724CA TSD Series Extra Capacity Underbar Sink Unit, four compartment, 72"W x 24"D, 6"H backsplash, 16" wide x 16-1/4" front-to-back x 15"
Commercial underbar sinks are a great solution for bars and restaurants that need a constant supply of clean glassware and all the space they can get. 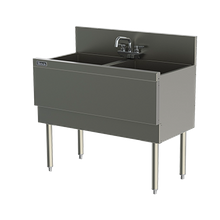 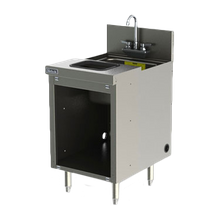 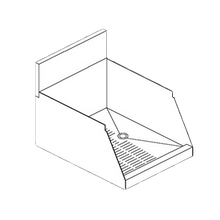 These compact sinks can fit underneath bars, countertops and work stations without compromising floor space.